When Scientific Games came to BlackLine, they were looking for a single solution for their quarterly self-assessments that would also provide a systematic workflow for SOX controls. Their teams were pulling data manually, they couldn’t be sure that every single risk within the system had been checked, and they lacked both audit evidence and electronic approval. Scientific Games implemented BlackLine Compliance in just six days, and it proved to be the single solution that both Accounting and Audit could use. Their prior design fit perfectly into the mold, allowing them to import controls and develop similar workflows. Time-savings is the biggest benefit of BlackLine Compliance for their teams. Previously, their quarterly self-assessment took six hours to complete, from start to finish. With BlackLine, it takes less than an hour. Their SOX team has also gained efficiencies, because audit evidence and electronic approvals are now tracked, and they can focus on more value-added activities. The internal audit team at Chart Industries is responsible for overseeing audits in the financial, operational, and compliance areas, in addition to their Sarbanes-Oxley program. Before implementing BlackLine Compliance, their risk and control matrix was maintained manually, in Excel. In-process testing took place on an internal shared drive, and their team provided testing to their external auditor via a document portal. Final documentation was stored in SharePoint. The biggest goal for their internal audit team was to reduce the amount of administrative time they were spending on the SOX program: planning, keeping track of workbooks and status, etc. After implementing BlackLine Compliance, they began spending a lot less time on those administrative tasks and could start focusing on completing their testing and adding more value to the company. Here are some of the lessons they learned that could help your organization achieve a successful implementation. 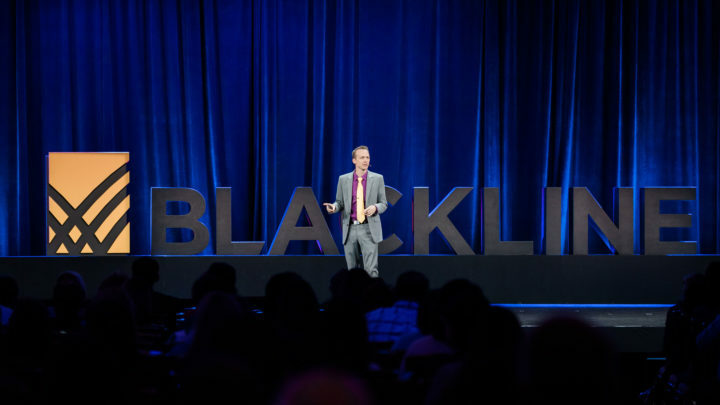 This morning we announced our newest product, BlackLine Compliance, and this session went deeper into how it benefits cross-functional teams. We built Compliance to create a centralized and intelligent solution for managing risk and controls. The biggest benefit for compliance teams is a reduced or changed workload. Bringing all risk and control-related activity into one integrated system eliminates manual effort and results in greater alignment between the performance and testing of controls. It provides direct access to control evidence for Compliance and Internal Audit, which greatly reduces time spent preparing and following up on PBC requests. Rather than being bogged down with administrative work, compliance departments can focus on value-adding activity, such as gap analysis, deficiency trending, and process improvements. Read this blog to learn more about the streamlined risk management and global control integrity that BlackLine Compliance delivers for stakeholders across Accounting and Finance, and Compliance and Internal Audit. Technology that enables compliance has come a long way in recent years. The evolution of the cloud allows for secure access to centralized, real-time information from anywhere—essential to deliver consistency and auditor self-service. Workflow engines ensure consistency and repeatable processes and provide a robust backbone for review and approvals. The latest advanced reporting and analytics continuously highlight exceptions and outliers. together, while External Audit can remain independent of the function. Technology solutions enable everyone to work from a common, centralized, and up-to-date single version of the environment. 2. Limit redundancies and reduce costs. Cloud technology can provide auditor self-service, so Internal Audit and the business can access the data and reports they need and collaborate online. are addressed and reviews aren’t left to chance due to a missed meeting or unnecessary back and forth. 4. Analytics. Moving away from spreadsheets toward self-service reporting and analytics provides better visibility for every stakeholder throughout the audit process. Read their ebook to dive into the details of this process, and learn more about how your organization can improve your control environment.